Microsoft’s partnership with Techno Brain Limited will bring it’s software testing and quality assurance centre to Africa. This means Techno Brian engineers will get early access to the latest Windows operating system builds. They’ll perform complex tests for various applications before it becomes available for public preview. The Microsoft software testing center, a first of it’s kind in Africa will be located in Nairobi, Kenya. Making it the fourth outsourced Microsoft testing centre, with others based in India, China and Poland. “This testing centre will help to profile Kenya as a leading regional hub of emerging technologies and innovation. Said Microsoft Director of Software Engineering, Bambo Sofola at the launch event. It’ll provide employment opportunities for young people as well. Kenya is said to be Africa’s ultimate technology hub of the future and it is rapidly growing in that area. 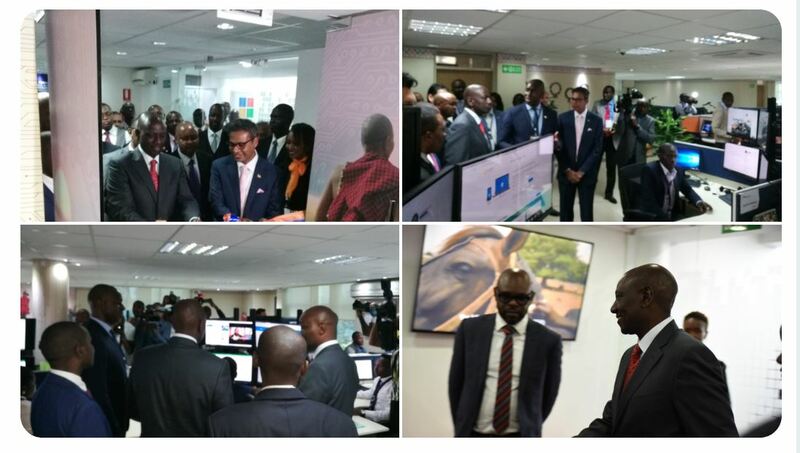 Microsoft is here to support and enable Kenya and Kenyan’s to excel and achieve that purpose. The inauguration is more than job creation. It is a lot more that includes how we train, share talent and how we transfer knowledge to the young engineers in Kenya. These engineers will continue to learn and be on a level across the globe on how you do technology, testing and write software, to help fill the talent growth in Kenya. The Microsoft Windows engineering team worked collaboratively with the Techno Brain team to set up a highly specialized and secured test environment. Techno Brain Nairobi software testing centre will get exclusive access to Windows Insider software builds that are yet to be released in the global market. Manoj Shanker, CEO of Techno Brain Ltd said; “Kenya in particular, has a rich pool of skilled human resources. This Testing Centre is another great testament that we’re truly committed to empowering lives through education and innovation”. It is interesting to see Microsoft invest more in Africa as we look forward to it’s first datacenters in Africa.